I need email list of preforclosure properties in USA probably Massachusetts. I need the email of the house owners that their house is on preforeclosure. hi there, i am expert on data entry. i have lots of experience . i will do provide best service . i hope you get satisfied by my work. so you can feel free contact me for better service. 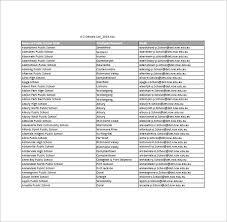 hello, i will give you 1k preforclosure property e- list in an excel sheet on your format. i have many email list,how much you want ?i shall give you. you can feedback every email.i hope i,ll give u 100% satisfaction & 100% quality guaranteed. my rate depend on email list so please more details for inbox me..